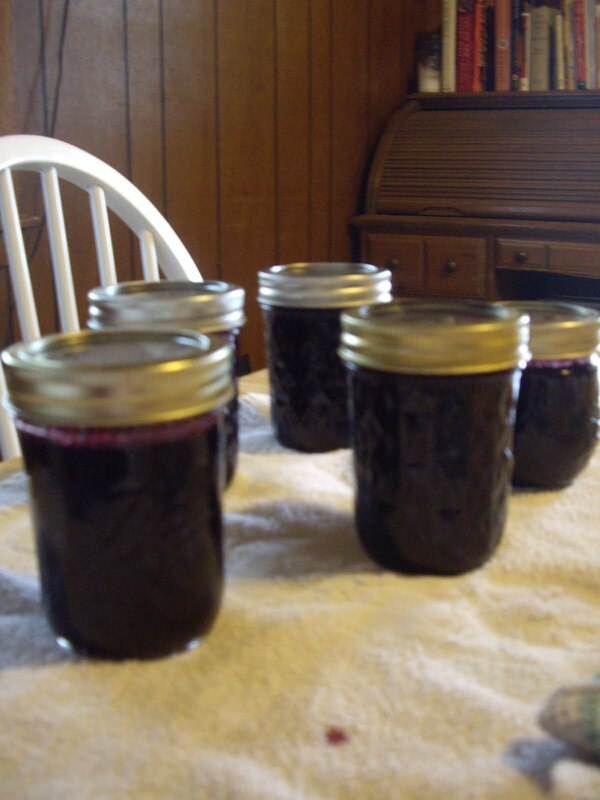 Homemade blueberry jam is so yummy. It is super easy to make. You can use fresh or frozen berries to make your jam. You will need 4 or 5 (1/2 pint) jars, flats, and rings. You will also need a dutch oven to make the jam in. Get your jars, flats, and rings ready to add the jam. Put the blueberries in your dutch oven. Crush them thoroughly. Bring to a boil over medium-high heat and boil rapidly, stirring often. Cook for 15-20 minutes. Take off the heat. Stir and skim off any foam, if needed. Pour jam into the prepared jars. Wipe the threads and lip with a hot damp cloth. Do the same with each flat and ring. Seal the jars. Turn jars upside down for 5-10 minutes. Turn back upright and let stand for 24 hours. When sealed the flat might make a popping sound. But to be sure they have sealed correctly push down on the top of the flat. If it can be pushed down, it hasn’t sealed and needs to be stored in the refrigerator.